The future of universal health care in California is grim this year, while a failure could set back similar efforts nationwide for years to come. Unions, doctors and other powerful interests are arrayed against Gov. 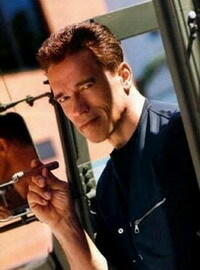 Arnold Schwarzenegger's $12 billion (8.8 billion EUR)-a-year plan to make medical insurance mandatory. He has threatened to veto the Democrats' less ambitious alternative and take his plan to the ballot instead. A showdown could come as early as Thursday, when the Democrats plan to put Schwarzenegger's proposal to a vote in the state Assembly. The aim is to show how little support it has. A record 6.8 million Californians, nearly 1 in 5 of the state's residents, went without health insurance at some time during 2006, according to figures released Tuesday by the U.S. Census Bureau. Nationally, a record 47 million Americans, including 8.7 million children, lacked health coverage, the report said. With the campaign for the White House under way, what happens in America's most populous state could have especially wide repercussions. "If we fail, it will have the effect of a wet blanket on health reform nationally," said Robert Ross, president of the California Endowment, a foundation devoted to health care. "I think the presidential candidates will all look with a very watchful eye at what happens in California." Following the lead of Massachusetts, which passed universal health care last year, Schwarzenegger announced his own plan last January to provide health insurance to all California residents. The Republican governor's plan would impose new fees on doctors, hospitals and employers. The uninsured would be required to buy coverage, though the poorest would be subsidized. The governor says his plan is fair because it would spread the burden. But doctors are fighting him, as are unions, because they say it asks too much of the working poor. Hospitals, most of which would get more funding, have stayed on the sidelines. The governor's own party has offered him no help. Republican leaders skewered the tax increases, making it highly unlikely the plan will receive the bipartisan support it needs to pass. A two-thirds vote is required. The Democrats, who control both houses of the state Legislature, crafted an alternative written in such a way that it needs only a simple majority. It would require employers to spend at least 7.5 percent of payroll on health care, or pay that amount into a state-run pool. That is almost double what the governor has proposed, and he has warned he will veto it. "The governor and the Legislature are inches apart, but neither side wants to give that final inch," said Larry Levitt, a vice president with the Kaiser Family Foundation. Success in California could be crucial to Democrat John Edwards' presidential hopes. The former North Carolina senator's plan for nationwide health care is a compromise between Schwarzenegger's and the Democrats'. "What the experience in California shows is it's very hard to do," Levitt said. With his background in fitness, Schwarzenegger has taken to health care with gusto. The former bodybuilder and Hollywood action hero has held summits and town hall meetings across the state, telling people they must take responsibility for their health and make sure they have insurance. But support for his ideas has slipped as the debate has bogged down. In December, the nonpartisan Field Poll found it was favored by 52 percent of voters. By August, that had fallen to 33 percent; that is about equal to the number who said they supported a single-payer system run by the government. Depending on when lawmakers decide to adjourn, there may be less than two weeks before the legislative session ends. While the governor and Democratic leaders insist they want a deal on health care, one lawmaker has concluded that failure might be the best option. "I hope that none of these ill-conceived, quickly thrown together plans will pass this year," said state Sen. Sheila Kuehl, the Santa Monica Democrat who chairs the Senate Health Committee and advocates a single-payer system. "Because really, that is not good for California."